Spotify’s has announced the 2013 financial results for its global parent company. The headline is a -12% operating loss, down from a -19% loss in 2012. The numbers are in stark contrast to the small operating profits recently reported in Spotify’s UK and France subsidiaries. Both were able to do so because only a portion of Spotify’s costs reside in those businesses. This raises the interesting point of Spotify making efforts to report an operating profit where ever it possibly can to help build an evidence base that its model is sustainable. Which contrasts sharply with Pandora’s prolonged efforts to do what it can to not make a profit in order to help its rate lobby efforts. Having spent the last few weeks knee deep in a client project exploring the profitability of digital music services I had a stronger than usual sense of ‘told you so’ when Spotify’s numbers came out. The headline of rights costs being the large cash drain on the subscription business model is well known, but there are other accelerating costs that are less well known. Spotify’s research and development costs rose by 92% between 2012 and 2013. 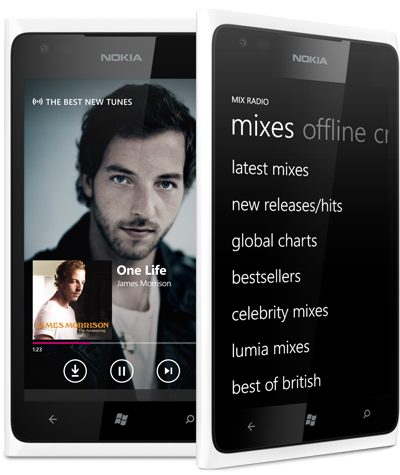 Music services find themselves running to keep up in the mobile world. Mobile apps are how the vast majority of subscribers interact with streaming services yet mobile app development is only an ancillary competence of subscription services. Unlike a King.com, a Supercell or a Mojang, Spotify’s core operating structures are built around cloud distribution, content management and music programming. 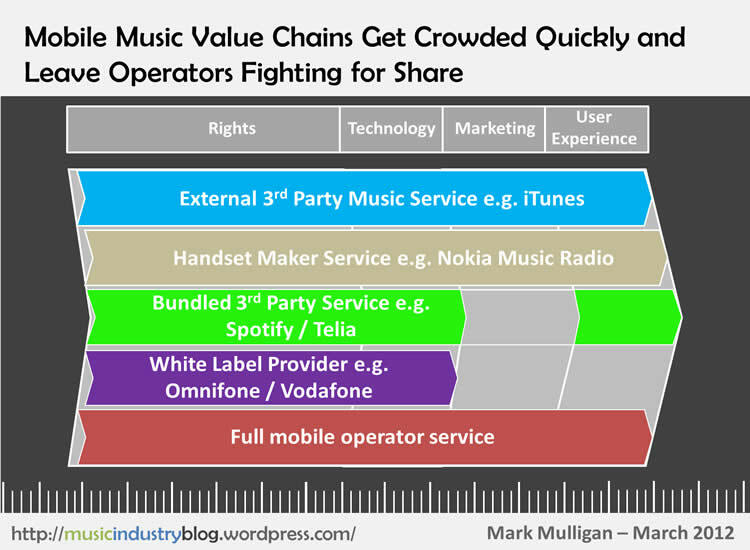 Spotify and other subscription services are now having to develop mobile as core competence too and the rapid rate of innovation and change in mobile experiences mean that this more resembles an arms race that it does a standard operating cost. The other big change is data. Streaming services generate vast quantities of usage data and making sense of that data is an ever more important task for streaming services of all kinds, not just music. Netflix spends $150 million on recommendations alone and has 150 staff just for this single data driven task. Call it ‘big data’ if you will, but managing large data sets effectively is crucial to the success of streaming services for everything from managing churn through to rights holder reporting. The key takeaway? Scale will definitely help streaming subscription services move closer towards profitability (as Spotify’s narrowing loss attests) but costs are also going to continue to rise for any streaming service that takes competencies such as app development and data intelligence seriously. 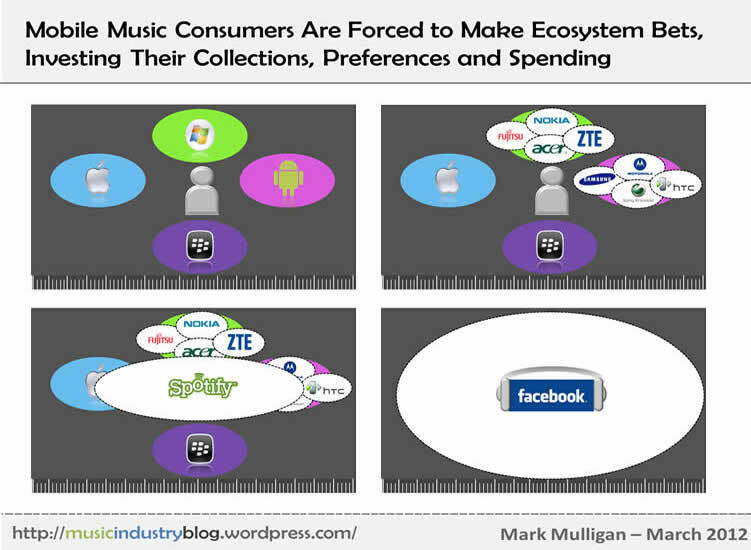 In this previous post I outlined how the rise in mobile app spending is directly cannibalising iTunes music spending. That decline was only a few percentage points in 2013 because of a confluence of factors, not least the fact that the US download market (Apple’s biggest) only fell by 3% in 2013 while the UK (another key Apple market) grew by 3% and growth also came in other major music markets and a bunch of emerging markets with scale. Throughout the course of 2014 downloads however will probably decline more sharply due to both app competition and also to the fact many of the highest spending download buyers are now subscription service customers. But there is a slither of light for the download market….the iPad. Apple’s customer base has changed a lot over the years. Once being an Apple customer meant being at the bleeding edge of innovation in consumer technology. Now it is a much more mainstream user base that in turn compels Apple to innovate at a pace appropriate for their more timid tastes. The evolution of the iPad customer base followed a similar path: once the device of the true Apple aficionado the iPad quickly developed a distinctly populist appeal, especially the iPad Mini. 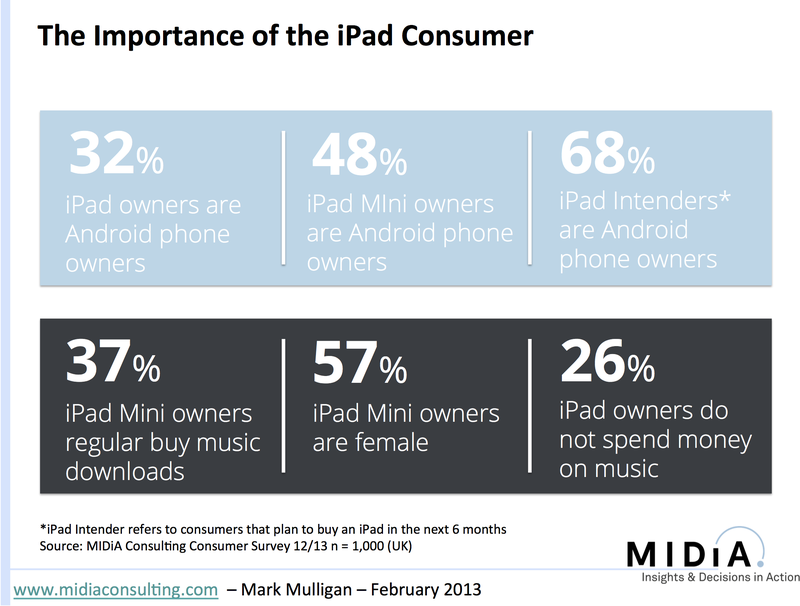 But what is most interesting about iPad owners from a music industry perspective is that so many of them are Android phone users, 32% of them to be precise (see figure). The iPad is acting as an iTunes beachhead among Android phone users. It is a less surprising trend than might at first appear because Tablets and smartphones have highly distinct purchase consideration cycles and retail chain dynamics. 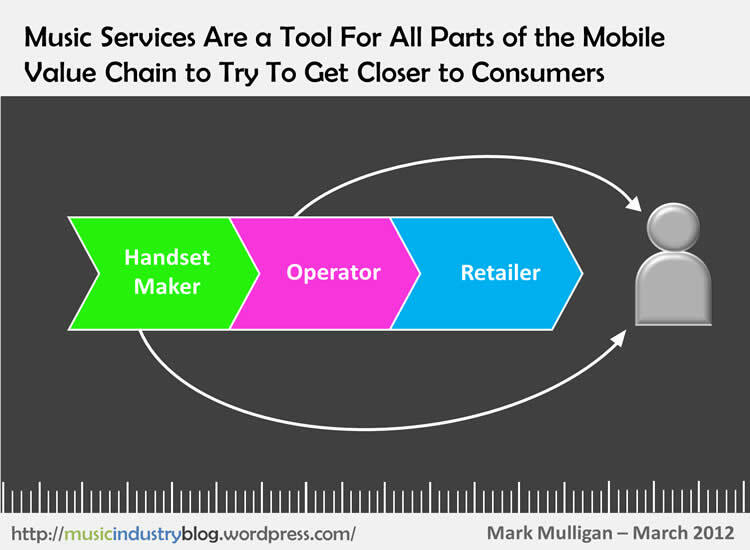 A smartphone is most often intimately tied to a mobile carrier relationship and the sales process will have as much to do with what device a carrier is pushing as it will with consumer preference. A tablet though is, most often, not tied to a carrier and the purchase consideration cycle is instead much more about aspiration and desirability. Other tablets might beat the iPad in terms of price and specs, but the iPad is the aspirational tablet. The trend is even more pronounced among iPad Mini owners: 48% of them are Android smartphone users, highlighting the success of this SKU to reach new consumer segments. Meanwhile a whopping 68% of iPad Intenders – i.e. consumers that plan to buy an iPad – are Android smartphone users. Although this figure has to be discounted to account for aspiration rather than likely intent, the directional trend is clear: Android smartphone users are a major share of iPad owners and iPad Intenders. With all the perpetual talk of who will win the smartphone wars the iPad’s ability to grow Apple’s customer footprint almost goes unnoticed. The fact 57% of iPad Mini customers are female indicates just how good a job the device does of reaching beyond the male dominated early adopter niche. Because an iPad customer is also inherently an iTunes user significant opportunity exists for content providers. For all Google Play’s valiant efforts – and extensive marketing spend – no one else manages to get people to buy music downloads the way Apple does. More Android customers becoming iTunes users via the iPad presents the opportunity to grow the installed base of music download buyers. And there are encouraging indicators: only 26% of iPad customers do not buy music, compared to 49% of all consumers and 47% of overall Android smartphone users. 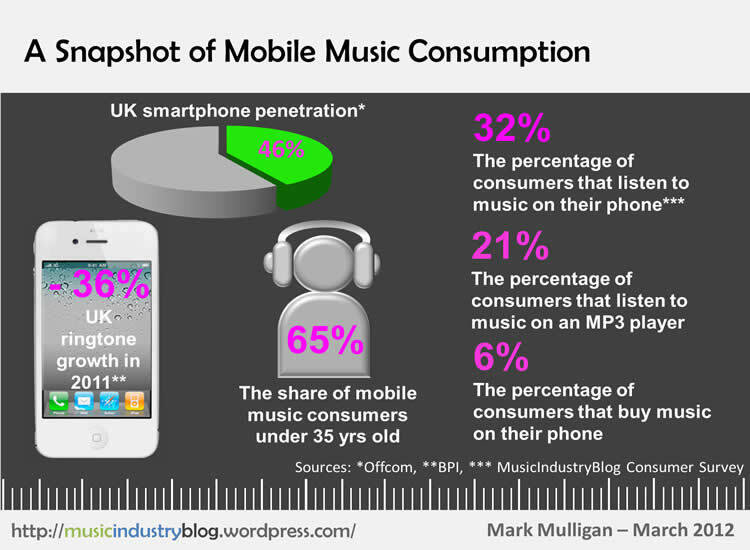 But before we get too carried away with how a new wave of iPad owners are going to save the music download sector we also need to consider why consumers are buying these devices and what use cases they best serve. The fact they have a tablet indicates they are at the more sophisticated end of the Android phone user base so they probably already use their Android phone for listening to music on. 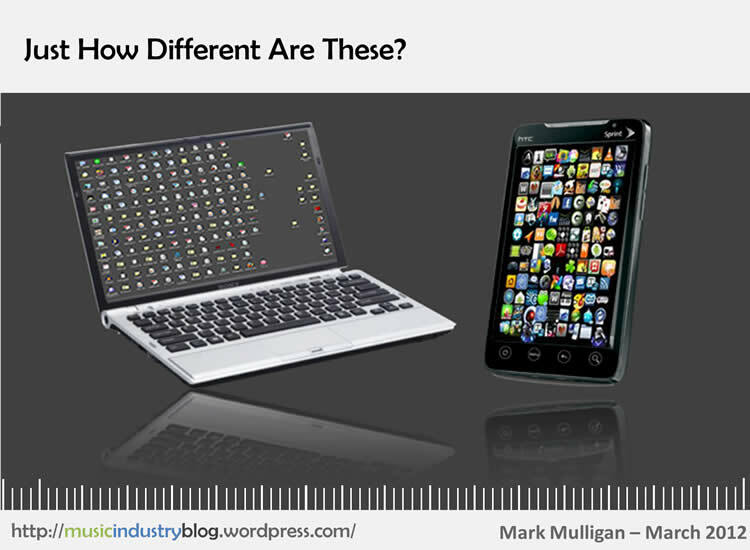 An iPad is a device purpose built for web surfing, video viewing and mobile app usage. 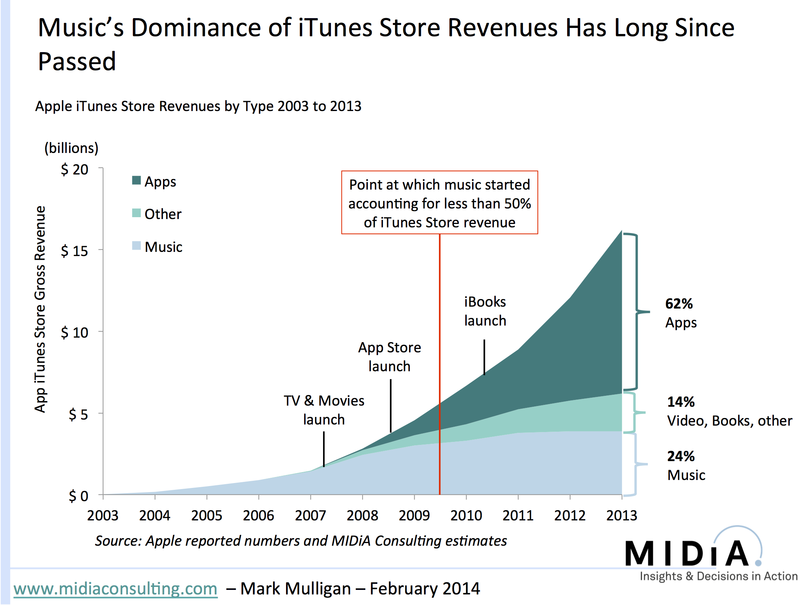 So it is to be expected that the lion’s share of content spending from these new iTunes converts will be on apps. 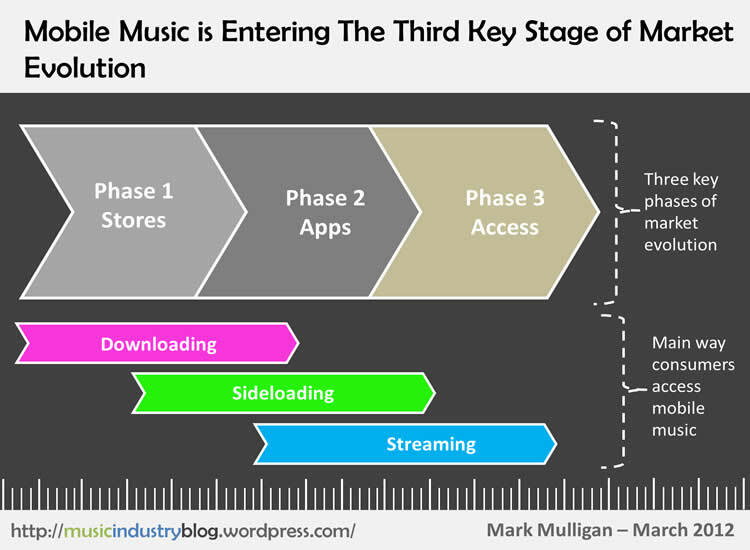 Music spending will however be a part of the mix and thus we can expect the influx of new-to-Apple iPad owners driving new music download spending that while it may not be enough to counteract the bigger decline it will help slow it.